Why are so many people frustrated with their lives? Why, in today’s world where we have more communication tools at our fingertips than at any time in human history, are we more disconnected than we have ever been? What is it that keeps us from living the life that we want? Is it possible for us to flourish while living life on our own terms? In Travel Learn Earn, you will see how living a life of adventure, abundance and possibility is attainable. 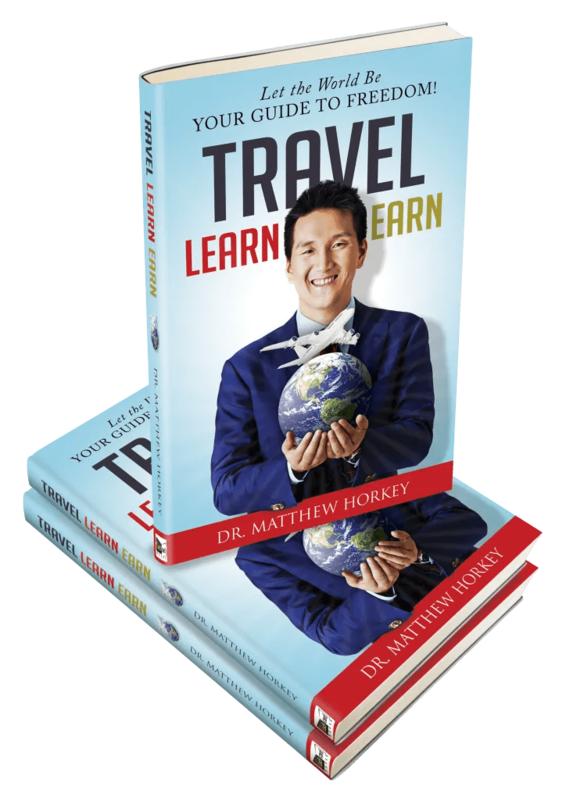 You will follow Dr. Matthew Horkey on a discovery journey of not only the world, but the obstacles in our mind that so often hold back our success. In Dr. Horkey’s first book, he takes the lessons from a magnificent journey and translates them into practical tips and tools so that YOU may achieve abundance and freedom in your life.